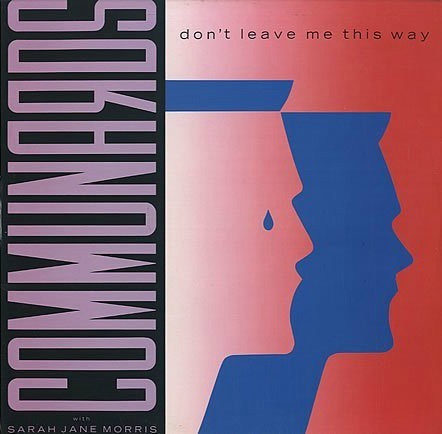 The Communards"DON'T LEAVE ME THIS WAY"
Jimmy Somerville left his earlier band Bronski Beat to team up with classically-trained musician Richard Coles to form The Communards. The duo were active from 1985 to 1988. Don't Leave Me This Way was the eighties band's biggest hit, and was a cover of Thelma Houston's disco version of the song. The song was the third single to be lifted from the band's self-titled debut album. It spent four weeks at the top of the UK singles chart. Lead vocals were also provided by Sarah-Jane Morris, who released her own debut, self-titled solo album in 1989. The single entered the UK singles chart at No.28 on 17th August 1986, climbing to No.5 the following week. The single reached No.2 on 31st August, with "I Want To Wake Up With You" by Boris Gardiner at No.1. 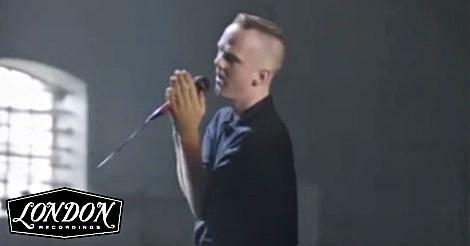 The Communards pushed Boris down to No.2, claiming the top spot on 7th September. In the U.S., the song reached No.1 on the Billboard Dance Chart and was also a Top 40 hit on the Billboard Hot 100. Overall, the 80s band achieved success with nine Top 30 hits during the eighties (including a remix of You Are My World) before splitting-up in 1988. "Don't Leave Me This Way" was first recorded by Harold Melvin & The Bluenotes in 1975 for the album Wake Up Everybody. It was released as a single in the UK during 1977, reaching No.5, shortly after Thelma Houston's disco version had reached No.13. The B-side featured the track "Sanctified". The Gotham City Mix on the 12 inch vinyl ran for almost 23 minutes and was split on the A-side and B-side.